You could be losing cold air, and don’t even know it. My wife and I were camping in the peak heat of August in Temecula, CA with both A/C Units running. The outside temperature was just above 100 degrees and even with both units running, it was still pretty hot in the trailer. Both units are duct-ed through the ceiling. The bedroom A/C unit duct, runs through the bathroom, through the living quarters, then to the garage. The garage unit does the same through to the bedroom. I found it hard to believe these two units were cooling down like I thought they should. That’s two, and half tons of cooling with (2) 15,000 BTU units. I decided to remove one of the vent covers, and check the air flow through the duct work. Upon inspection, I found where the duct work (Sheet metal) meets the vent cover, there was huge gaps where it should have been sealed with aluminum duct tape. Some gaps where so large, I could stick 3 fingers between the sheet metal, and the where it should meet the roof. This is hard to see, since the gap is above the ceiling, in the duct . Bottom Line; I was losing lots of cold air into the ceiling space, instead of in the trailer. I’ve since checked many friends’ trailers with duct-ed units, and found the same thing. After sealing all eight supply ducts, the trailer temperature gets much cooler. You can actually hear and feel the cold air coming from the vents. 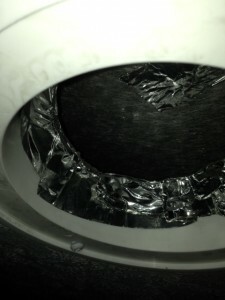 Remove the vent covers carefully to avoid damaging the plastic. Using aluminum A/C (flexible) duct tape from your local home improvement warehouse, cut the aluminum tape strips into about 4 inch strips. 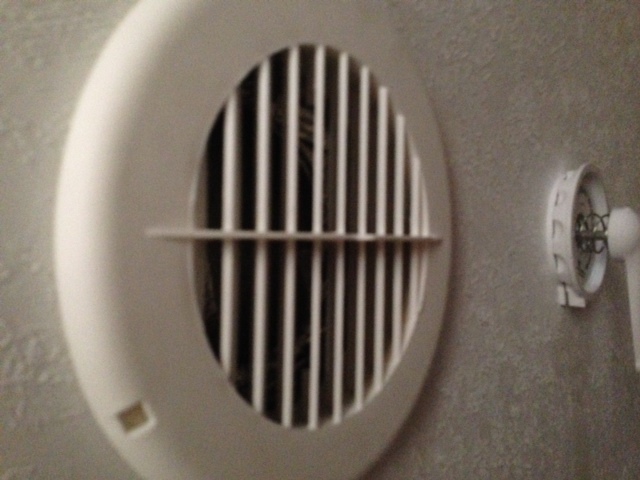 Each vent should take about 3-4 pieces of tape, because of the radius of the vents. 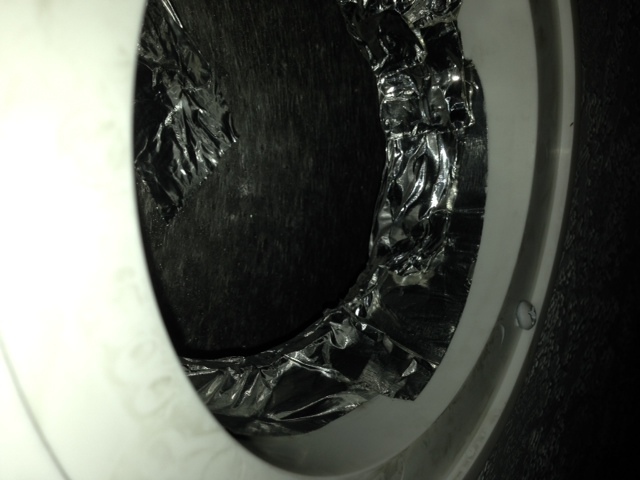 Install the bottom of the tape to the bottom of the ceiling, and roll the tape upward through the duct (sheet metal) all the way around each vent to stop the air from entering the ceiling space. 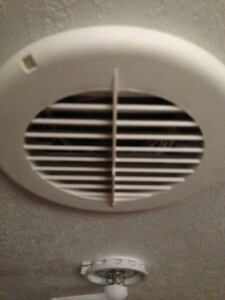 This should make a huge improvement, if find your vents not sealed properly. Also, when your rig starts to cool down, turn you fan speeds to “Low” This helps the air move through the coils slower, and gets the air cooler, along with reducing the noise level.